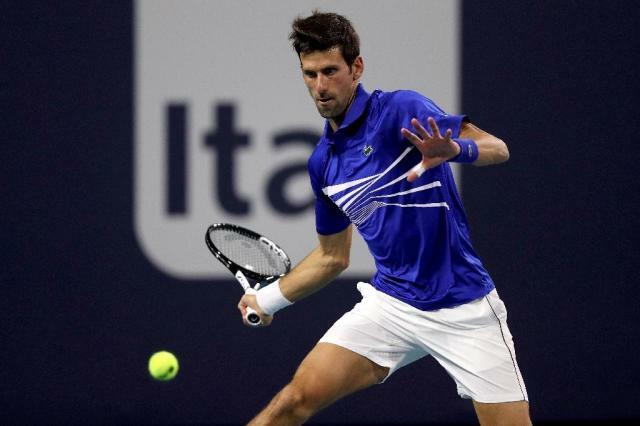 Miami (AFP) - Novak Djokovic put his Indian Wells disappointment behind him on Friday at the ATP and WTA Miami Open with a ruthless 7-6 (7/2) 6-2 destruction of Australian Bernard Tomic to move into the third round. The Serbian world number one endured a meek exit at the hands of German Philipp Kohlschreiber in the California desert but arrived desperate to land what would be a record seventh title in South Florida. Tomic, the current world No. 81, gave the 31-year-old a few problems yet the Australian struggles to consistently challenge the best players and this was evident once again as Djokovic eased through the gears at Hard Rock Stadium with just one hour and 13 minutes on the clock. “In Indian Wells I wasn’t feeling my best," conceded Djokovic who won 81% of points on his first serve and hit 11 aces. "Everyone has nerves coming onto center court regardless of how much experience you have and what your ranking is. You care about it and if you are nervous that means you care. "I commonly feel like that. This was my first time playing at this new stadium, it felt like being indoor a little bit. It's unique. "Now hopefully," he added, "I can build some momentum." 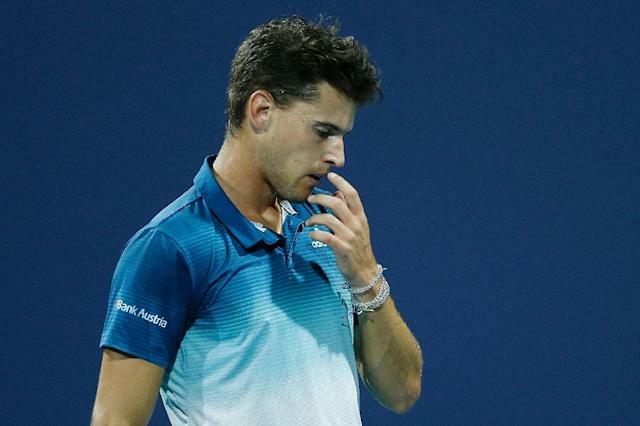 On a day that saw Djokovic, top-ranked woman Naomi Osaka and 23-time Grand Slam champion Serena Williams advance, the shock of the day was the departure of Indian Wells Masters winner Dominic Thiem, who was beaten 6-4, 6-4 by highly rated Polish 22-year-old Hubert Hurkacz. Elsewhere, there was disappointment for Kei Nishikori. The fifth seed lost to Serbian Dusan Lajovic 2-6, 6-2, 6-3 but reigning champion John Isner outlasted Italian qualifier Lorenzo Sonego 7-6 (7/2), 7-6, (9/7). Japanese star Osaka had to keep her emotions in check as she opened her campaign by outlasting Yanina Wickmayer 6-0, 6-7 (3/7), 6-1. 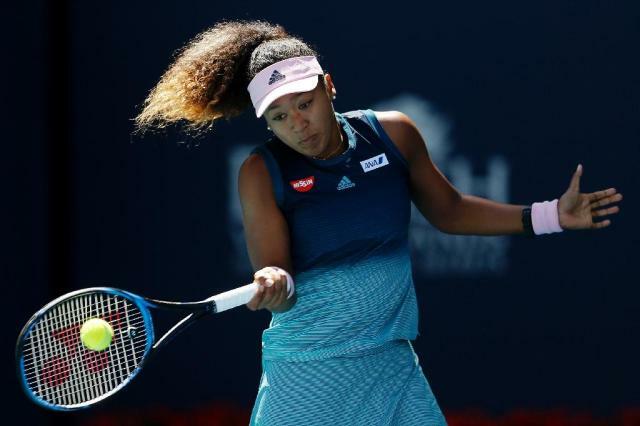 Since winning her second consecutive Grand Slam title in January at the Australian Open, Osaka has failed to go deep in Dubai or Indian Wells. 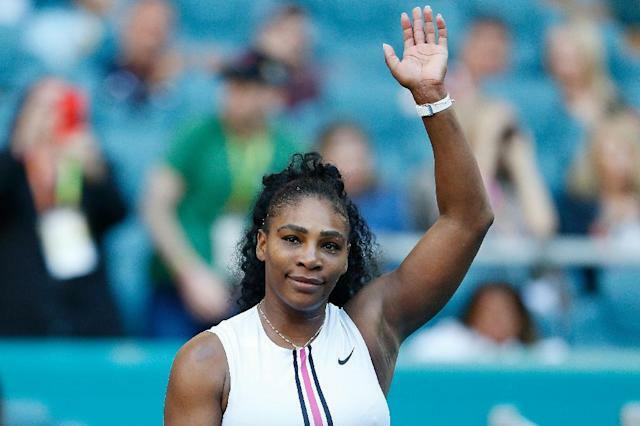 But she appeared in solid form against 141st-ranked Wickmayer, despite losing her way in the middle of an entertaining match at Hard Rock Stadium. The 21 year-old was forced to dig deep after the Belgian, who reached the Miami Open last eight in 2010, forced a third set as Osaka’s game badly dipped. "In the second set, I got really emotional, so in the third, I just tried to shut off my feelings," Osaka said. "I started thinking about winning and not the things I could do in order to win. I had a dip and she started playing really well. "I just had to breathe and regroup," she said. "I find myself doing it often when I am in emotional situations, it's like an energy saver." Next up in the third round is Taiwan's Hsieh Su-Wei, who defeated American Alison Riske 6-2, 7-5. The pair had a rollercoaster clash in the Australian Open at the start of 2019 with Hsieh a set and 4-1 up in Melbourne only to lose a dramatic third-round encounter. Serena Williams survived a second-set lull to beat Sweden's Rebecca Peterson 6-3, 1-6, 6-1, and elder sister Venus also advanced with a 7-6 (7/4), 6-1 win over Spain's Carla Suarez Navarro. There will be a repeat of last week's WTA final in Indian Wells between Bianca Andreescu and Angelique Kerber. Canadian 18-year-old Andreescu, who brilliantly won her maiden WTA title in California, beat American Sofia Kenin 6-3,6-3 to book a third-round meeting with three-time Grand Slam winner Kerber, who saw off Russia’s Karolina Muchova 3-6 6-3 6-3.